Outstanding shade tree with thick, leathery, glossy green foliage that is resistant to leaf tatter. Fall colors are a brilliant yellow, orange and red. Avoid compacted soil and salt spray. Faster growth rate than other Sugar Maples. 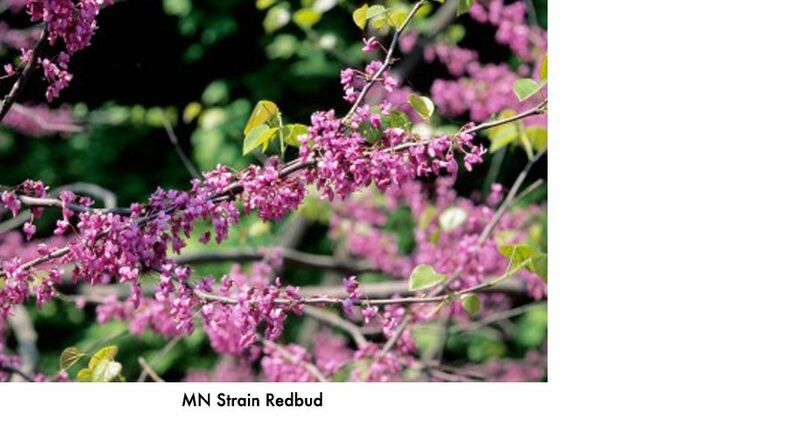 Full sun to part shade Average, well drained soil Grows 60’ - 70’ H by 40’ - 50’ W.
Cercis canadensis • Size: 6' • Preorder price: $78 (After March 31 $99) Best known for the purplish-pink flowers that open before the leaves appear. Brown seed pods persist into winter. Heart-shaped foliage turns yellow in fall. Will not tolerate wet soil. Mulch well. Medium growth rate. Native Full sun to part shade Average soil Blooms PINK in Apr, May Grows 25’ - 30’ H by 20’ - 25’ W.
A handsome tree with asymmetrical, broadly conical shape. Durable tree for difficult landscape situations. Excellent golden yellow fall color. Male cultivar. Slow to medium growth rate. Full sun Average soil Grows 50’ - 60’ H by 40’ - 50’ W.
Large, full, conical shaped flowers start out chartreuse, change to white and then age to a lovely pink mauve. Outstanding shrub for summer color and autumnal display. Use as an accent plant or to anchor a perennial bed. Medium growth rate. Full sun to part shade Average soil Blooms WHITE in July, Aug, Sept Grows 6’ - 8’ H by 6’ - 8’ W.
Stately tree for large areas. 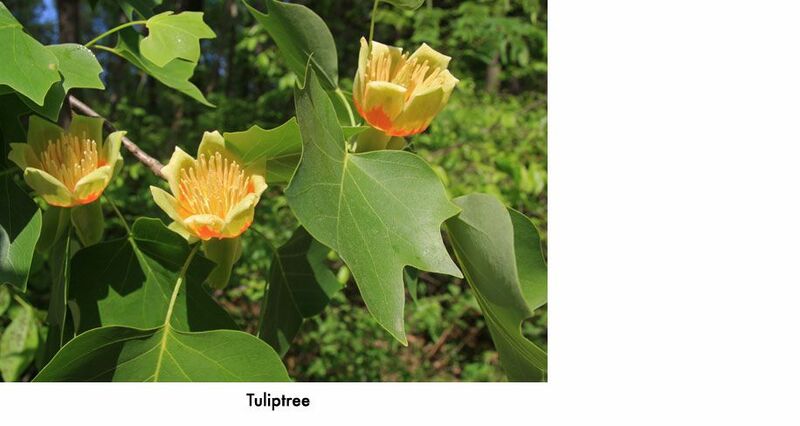 Beautiful greenish-yellow flowers with orange centers are reminiscent of tulip flowers and are most often found high in the tree. Spectacular golden yellow fall color. Prune in winter. Fast growth rate. Native Full sun Average soil Blooms YELLOW in May Grows 70’ - 80’ H by 40’ - 50’ W.
An exciting new introduction, this is a very hardy, narrowly upright to columnar ornamental tree with showy pink flowers followed by smallish purple fruit and rich burgundy-purple leaves all season; used for its distinctive form. 18' high by 9' wide. Full sun. A Dwarf Korean Lilac grafted to a single stem that is an ideal compact tree for a small area. Spectacular in flower. 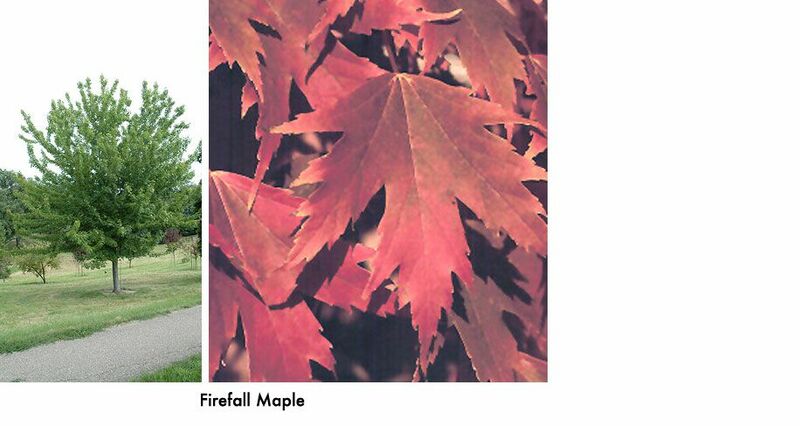 Fall color can be a reddish-purple. Slow growth rate. Full sun to part shade Average, well drained soil Blooms LAVENDER in May Grows 8’ - 10’ H by 10’ - 12’ W.
The leaves of this fast-growing tree flutter in the slightest breeze and develop a good yellow fall color. Cream colored bark darkens with age. Fast growth rate. Native Full sun Average soil Grows 40’ - 50’ H by 25’ - 30’ W.
Ligustrum vulgare 'Cheyenne' • Size: 2' • Sold in bundles of 10, $14.99 per shrubBest used as a hedging or screening plant. A tough, vigorous growing shrub that is best pruned after flowering to reduce reseeding. Fast growth rate. Full sun to part shade Average, well drained soil Blooms WHITE in June Grows 10’ - 12’ H by 8’ - 10’ W.
*Must be paid in full to receive Pre-order price. Pre-order by March 31. Limited #'s on some varieties. Bare root trees should be planted as soon as possible, otherwise, be sure they are stored in a cool place and out of direct sunlight.